Your body builds new bone throughout your life. But even young adults can begin to lose bone mass faster than they can replace it. 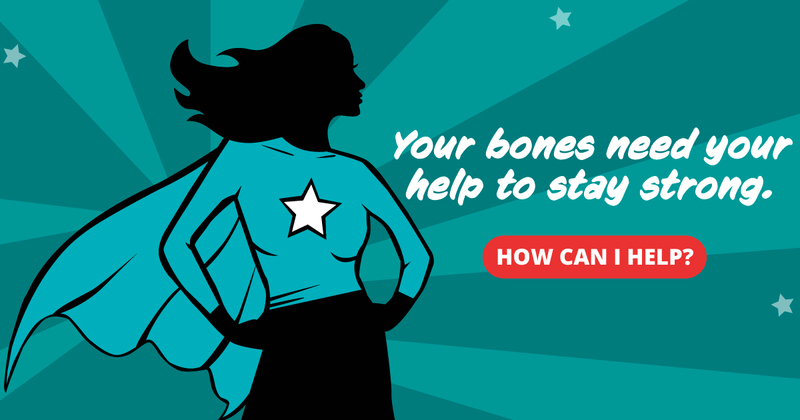 So how can you keep your bones healthy and strong for life? Here are three super-solid ways to get the job done. Need to take it easier? Low-impact weight-bearing activities like walking and using a treadmill or elliptical machine help keep bones strong too. Muscle-strengthening exercises—also known as resistance exercises—help you hold on to bone mass too. Examples: Lifting weights, working with elastic exercise bands and using weight machines. Calcium is essential for building bones and keeping them healthy. Yet our bodies can't produce their own calcium. We need to get it from the foods we eat or from supplements. Dairy products—like milk, yogurt and cheese—are high in calcium. And calcium is added to many juices, cereals and other foods. About 99 percent of the calcium in our bodies can be found in our bones and teeth. Vitamin D helps your body absorb calcium. You can get vitamin D from sunlight, foods and supplements. Very few foods naturally contain vitamin D—mostly fatty fish like salmon and tuna. And sunlight comes with its own risks. That's why experts often recommend people take vitamin D to make sure they get enough. Talk with your doctor about whether you need vitamin D and calcium supplements. And ask how much you should take. Your skin makes vitamin D when the sun shines on it. But sunscreen—which helps prevent skin aging and cancer—also blocks the production of vitamin D.
Magnesium. Find it in beet greens, collard greens, potatoes and spinach. Potassium. Find it in bananas, orange juice, raisins, sweet potatoes and tomato products. Vitamin C. Find it in broccoli, citrus fruits, and green and red peppers. Vitamin K. Find it in prunes and green leafy veggies like kale, collard greens, mustard greens and spinach. There's an easy test for checking your bone density. Called a DXA (dual-energy x-ray absorptiometry) scan, it's essentially an x-ray of the hip and spine. It's used to diagnose osteoporosis, weak and porous bones that could break more easily. Women and older adults are most at risk—but other things, like smoking, may raise your risk. Talk with your doctor about whether bone density testing is right for you. Test your knowledge and pick up more prevention tips.